On the Quest for a Performance Culture: Where to Start? As a field, performance management is almost a teenager. Not in actual years, but in its development and practice. Accounting is the grandparent with Mesopotamian, Egyptian and Babylonian roots. The major “innovation” of double entry book keeping developed back in the 13th century. Administration of bureaucracies has a storied history in ancient civilizations such as China but public administration is a relatively modern 19th century concept. 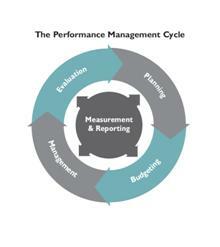 In the United States, performance management, as a stream of democratic governance and industrial management, dates to the early to mid-20th century. Its roots are within the Progressive Movement and the teachings of Edwards Deming. The seminal approach for business, the Balanced Scorecard, emerged only in 1992 and for government, the Government Performance and Results Act, in 1993. Sustainability (e.g., Community Indicators, STAR Communities). Government Performance Results Act (for federal government). Consortium of Advanced Management International (CAM-I). ISO 9000 Quality Management Systems. The National Performance Management Advisory Commission identified a framework with core elements of an ideal organizational performance management system. This profusion of approaches without consolidation is both exhilarating and terrifying. For those in the profession who like to create things anew and be on the cutting edge, the fact that there is no “one way” means fully utilizing creativity and organizational agility. For those who want predictability and certainty, evolving or changing approaches and frameworks is a constant irritant. This is why I believe the teenage metaphor is apt; the field is maturing but has not fully matured. In addition, there has not been, to my knowledge, any systematic evaluation of all of these approaches to determine effectiveness (however that should be defined). The emergence of open data, government analytics and the new normal of government resource constraints are also sure to challenge the current array of performance management practices in the near future. Once a single (or even a hybrid) approach has been chosen, this leaves practitioners with the question of where to start. The overly simplistic (but still true) answer is to start where you are. If you already track data, then start there and review the data. If you have some form of planning documents, then track how you are doing at meeting the intended outcomes. The more organizationally savvy answer is to start where there is leadership interest. King County started with a “Stat” program because that’s where the executive interest was. A strategic planning framework was developed once it was apparent we needed clarity on where we wanted to go in the future. Starting where leadership interest is the greatest means you will actually get the fly wheel of change started. Leadership is interested in the results. You will need that interest to improve management systems, data gathering, analysis and thinking. For example, although it makes logical sense to start with a strategic plan, that’s not often where most organizations actually start. Planning takes a long time and it’s often hard to show success. Does starting with performance budgeting work more often than starting with program evaluation? Where can we find examples of various “starts” and see if the process and outcome metrics are positively impacted? Alternatively, can we say that starting with a budgeting for outcomes approach probably won’t work if you aren’t any good at articulating outcomes or measuring program performance? Likewise, is doing activity based costing without aligning it to a strategic issue worth the investment in time and energy? Are there essential dependencies that almost always exist that would inform practitioners in ordering the creation of performance management systems (what element should come first, second, third)? The reality is that most mature systems are not built overnight, or even over five years. Knowing which theoretical models are the most efficacious and where to start within any given model would signal that the field has moved past adolescence into young adulthood. Author: Michael Jacobson is the deputy director for performance and strategy for King County’s Office of Performance, Strategy and Budget. Jacobson was the 2013 winner of the ASPA Center for Accountability and Performance’s Harry Hatry Distinguished Performance Measurement and Management Practice Award.